These are exciting times for poetry and we want to continue to serve you by hosting significant poetry events, celebrating the latest poetry books, and honoring new and established poets. 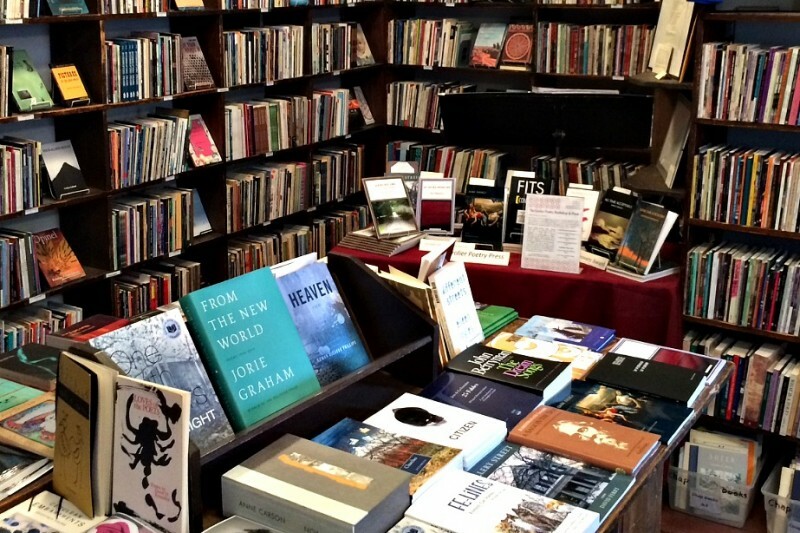 Grolier Poetry Book Shop is the oldest all-poetry bookshop in America. We are coming up on our 90th anniversary! The book shop has been a home to many great poets, and poetry lovers from all over the world. Grolier has been home to many great poets, such as Elizabeth Bishop, Robert Creeley, ee cummings, TS Eliot, Allen Ginsberg, Frank O'Hara, Marianne Moore, and Adrienne Rich. More recently, we have featured Frank Bidart, David Ferry, Michael McClure, Kimiko Hahn, Maxine Kumin, Robert Pinsky, Ariana Riens, and Franz Wright. Ifeanyi Menkiti, a Nigerian-born poet and longtime philosophy professor at Wellesley College, purchased the store in 2006. Menkiti dips into his own pockets to replenish the store and keeps a very lean staff; but even with these efforts, there is no denying the struggle independent bookstores endure. Keeping poetry, and all of its richness, alive means the world to us. Through reading, writing, and sharing it, many of us have created and found homes. Providing a center to celebrate writing has always been our greatest joy, and though we continue to host events and readings, we would greatly appreciate your help to keep our 'home' going. We are launching a campaign to ensure that the legacy of the Grolier lives on. Your donations, both large and small, will help support operations and outreach. "We welcome all who enter this special place that overflows with the traditions of poetry." This is the 90th year of the Grolier. We have many exciting events coming up. Please continue to support us. promoting poetry. Help us make it to 100 years and beyond. "Poetry is our final human language and resource. Please consider establishing a 503c - something along the lines of "Poetry Feeds the Soul" or "Words for Good" - so that we can donate in a tax-free way to keep these events going. Thank you!